It’s been kind of a slow week in the NL West. The top four teams in the division are all hovering around a .500 week. Then you have the Rockies, losers of 11 straight games before Thursday night’s dramatic 9th Inning, 3-Run shot by Carlos Gonzalez. The most interesting event of the week was a supposed meeting between franchise shortstop,Troy Tulowitzki, and his agent. Rockies GM, Jeff Bridich, calls the entire situation a “media production,” but while the media clearly is fanning the flame, the fire originated in the Tulo camp. The motive is due to years of losing with no end in sight after Colorado was openly shopping him this past off-season. So what is the likelihood of a deal getting done for Tulo between now and the July 31st, trade deadline? I’m so glad you ask. Let us look at the possible trade scenarios and their fantasy impact if the actually happened. Currently, he DOES NOT have a No-Trade Clause in his contract. However, he gains 10-5 status next season (10 years service time with the last 5 with the same team). This gives him the right to veto trades and gives him leverage to force a trade to a team of his choosing. For now, the Rockies do hold the leverage. Although $20M per year is an expensive player, there are several big-market teams that can absorb that deal. The contract will still end when he is 35 years old and not 40 like many of the other long-term deals out there (Arod, Cano, Pujols, etc). He is a top 10 player in the game when healthy and plays a premium position. The Rockies are holding out for a package that gets the team three or more high tier prospects AND assume no responsibility to his contract. That is a little unrealistic for what little leverage they have left. They probably need to choose one or the other. The better the prospects, the more money they will have to eat. Teams are not going to give up top tier prospects regardless, but just to get a package of 2nd Tier prospects, they will have to chip in some money. If they hold out until after Tulo gets his 10-5 status, their leverage drops dramatically. He isn’t the type of guy to make waves and seems very concerned about his public image. While publicly he will maintain committed to the Rockies and their fans, it’s no secret he is interested in playing for a perennial contending team in a big market. He wants to leave but won’t initiate. The leak by his agent this week seems like a passive-aggressive way of moving things along without having to make an official request. He is clearly distracted this year as his production is below what we have come to expect; even in injury-plagued seasons. His contact rate is down and OPS is at its lowest in 7 years. He doesn’t need the thin air to be productive and a change of scenery would probably benefit him greatly. The main issues here is that the Rockies ownership is very conscious of public opinion and doesn’t want to upset the fan base by trading the face of their franchise for what has been almost a decade now. They are always attempting to reload and avoid rebuilding. This strategy has failed pretty miserably as they only reached the post season in 2007 and 2009. Someone needs to step up and make a deal happen. The longer they wait, the less they will get in return. Tulo is bound to be hurt again any day now. Wait what’s that? He just left Friday’s game with a strained quad. Everyone is suffering right now ESPECIALLY the fantasy owner. Have they no respect for us fantasy owners? Butler is the only pitcher considered to be a Top 100 prospect; they have two others in the Farm System. Jon Gray could be promoted from AAA once he gets some consistency and 2014 1st Round draft pick, Kyle Freeland, is likely three years away from reaching the Majors. The Rockies need to get at least two big arms in any package for Tulo or it isn’t worth moving him. Fortunately, there are plenty of teams out there with young pitching to offer. Colorado just needs to be realistic about what they can get in return. Otherwise, they will be stuck with a internally disgruntled franchise star who will continue to struggle with the knowledge he will be playing for a losing organization for the next five years. Rockies get SP Andrew Heaney, RP Cam Bedrosian and SP Nick Tropeano. If the Angels feel they can make a run a the World Series this year, they may pull the trigger on this deal as they keep their prize top draft pick, Newcomb. They have enough quality arms in the Majors already to make this run. The Rockies would do this if they like these arms enough as they would all be ready to contribute as early as this season and the deal immediately injects some talented youth into their pitching staff. Tulo’s value stays about the same, but the change of scenery could help him snap out of his slow start and get him on one of those hot streaks we are accustomed to seeing from him. Heaney immediately becomes relevant for streamers and deeper leagues, but will lose long term value in dynasty leagues pitching in Colorado. If St. Louis loses a significant bat in the near future, they might be more inclined to make this move if they feel Tulo is healthy enough to help them make a run this season. They would get to keep Carlos Martinez, who they need for their rotation now. They would likely require Colorado to take back Peralta since they wouldn’t have a place to play him AND require a decent chunk of money to cover Tulo’s deal. If Colorado is “high” enough on Reyes and Gonzalez, they may go for this. Gonzales could make the Rockies rotation as early as this year and Reyes in the next 2-3 years. These are good enough arms to get a deal done in my opinion, but I’m not convinced this gains enough traction. Tulo would love to hit behind his old buddy Matt Holliday, and we should see him return to form in this lineup. Peralta should see a slight uptick in his production hitting in Colorado and he will still have a decent lineup around him. Gonzales immediately becomes on-the-radar in standard leagues and a must add in deeper roster formats. Temper initial expectations to see if he can keep the ball in the park before investing too much. Could Reyes help keep the fans at bay? As great as this would be for the Jays fans and Fantasy Owners, I don’t see more than a 5% chance of this trade happening. Tulo would thrive hitting between Bautista and Encarnacion. He would immediately become a top 5 fantasy player. Hutchinson’s value remains the same as he hasn’t been lighting it up in Toronto, but the stuff is there, and he might have some nice games against some lighter hitting NL squads. Rockies get SP Steven Matz, SP Rafael Montero, OF Brandon Nimmo. and provides another veteran leader to partner with David Wright . They keep Syndergaard, Wheeler, Harvey and their core stud arms intact for a long run. Rockies get would greatly improve their rotation for the start of 2016 and would have a replacement for Cargo and give them the ability to trade him for more young assets. I give a deal between these teams about a 15% chance. Tulo gets a slight uptick because he would be thrilled to be playing in New York. However, the supporting cast in the lineup doesn’t offer much protection and he will be playing in a pitcher’s park. I don’t take lightly the effect on “wanting to be there.” None of the players going back will make an impact this year for the Rockies, but all have high dynasty and deep keeper value. 2. Washington Nationals – This is the most likely trade that happens in my opinion. The Nats have tons of pitching already in their rotation and Ian Desmond is on an expiring deal. The Nats’ rotation will work itself out. There is too much talent there. Soon they will begin to dominate and will likely win the NL East handily. They would love to stick to the Mets by grabbing Tulo and becoming the favorite to make it to the World Series out of the National League. They are not sending top arm Lucas Giolito, but they have a few guys that should get a deal done. Why this deal could get done..
candidate for them to try and resign and his tools should play well in Colorado. This should be a no brainer for the Nats. Lopez is going to be sick, but they protect Giolito and 2014 1st Round pick, Erick Fedde. They can slot Tulo in the three hole in front of Bryce Harper and keep the rotation in tact. This team becomes a monster this year and beyond, even if they let Strasburg walk after the season. They are clearly not afraid to take on payroll, so taking on Tulo’s contract shouldn’t be a stumbling block for them. 20% chance this deal gets done. Tulo becomes an elite fantasy performer this season and Desmond ticks up in the new mile high digs. Cole and Lopez should be on all dynasty rosters and warrant a look on deep keeper leagues. Cole may see some time in the Majors this year, but likely doesn’t offer much fantasy impact in 2015. The Yankees still have a big hole at SS and Tulo could be the only player to remotely come close to filling Jeter’s shoes. They are not concerned about his ability to play in the Big Apple and it would give the team a much needed source of offense in the heart of the order. The Rockies could realize that quantity could pay off in the long run. The need a 1B and Bird could be ready to hit 25-30 HRs in Colorado as soon as 2016. Mateo would be the long range successor at SS but is not quite 20 years old yet and is several years away. Lindgren could come in this year and be their closer, his stuff is that nasty. Clarkin has a ceiling of a #2 or #3 starter. Ultimately, the Rockies are not going to do this deal without a bigger impact starting pitcher and the Yank are not going to trade Severino. That will probably be the impasse, and the Yankees will turn their attention to acquiring another starter as that is a greater need for them to make it to the postseason this year. The odds of this trade happening is 15%. Tulo will be on Cloud 9 and should get out of his funk. The Yankees philosophy of plate discipline will rub off on him and his contact rate should improve. His RBIs should sky rocket with Ellsbury and Gardner on base in front of him and Tex and McCann offering reasonable protection. This trade allows Arod to move down the order to 6 or 7. His average could improve as he will have less pressure to drive in runs. Lindgren could have an impact in 2015 with the Rockies bullpen woes. He could be up this summer and take over as Closer by the end of the season. 4. Absolutely Nothing – After all this…Rockies could be stubborn and all the above teams could be scared off by Tulo’s health record. There’s a 25% no deal gets done before the July 31st trade deadline. 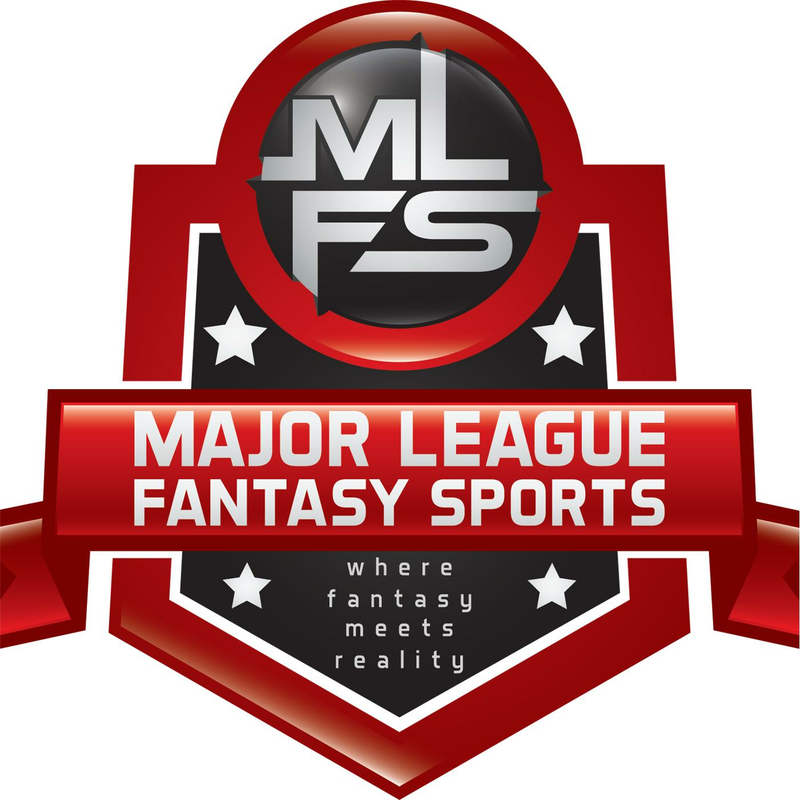 Major League Fantasy Sports Radio Show: Join Ej Garr and Corey D Roberts on Sunday May 17th from 7-9pm est for this week’s episode of Major League Fantasy Sports Radio sponsored by the Sports Palooza Radio Network. We will take live callers at 646.915.8596. Our topics this week will be the A.L. East, A.L. West, and everything fantasy relevant within those divisions. Feel free to jump in the conversation. Our guests this week are Joe Iannone and Joe Ciccone. Joe Iannone is our A.L. East expert, and you can check his articles out every Monday. Joe Ciccone is our Chief Editor, our A.L. West expert, and you can read his articles every Thursday. I had to read for about 45 minutes before I found out the Yanks probably won’t get him anyway. Sigh. “65 Mustangs” AL East Week 7 Preview. It’s All About the Pitching (Again)!